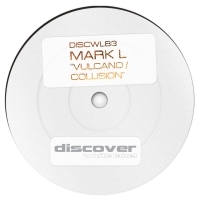 Having previously appeared on Pharmacy Music, Dark Soho and Extrema Global - Italian Trance DJ & Producer Mark L debuts on Discover White Label with this fantastic double single. 'Vulcano' leads the single release with a booming beat and a euphoric hue whilst 'Collision' is a progressive slice of Trance with a esoteric vocal sample and massive scope. 'Vulcano / Collision' is available now from Beatport and iTunes.